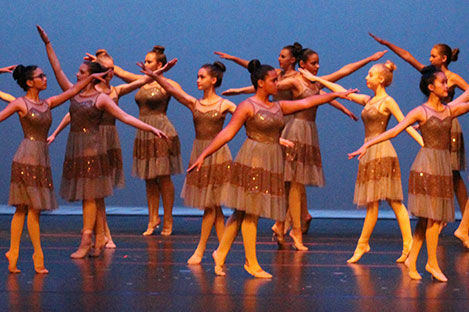 For those dancers who are looking for more than weekly dance classes and recital performances, Turning Pointe offers several options that give them the opportunity for additional performances and/or competitions! We know family time is important, which is why our Teams have minimal rehearsals on weekends (and no Sundays). Turning Pointe is proud to offer additional training, performance and competition opportunities to our elite team of dancers known as our DANCE COMPANY. We have nine teams that are grouped by age and skill level. 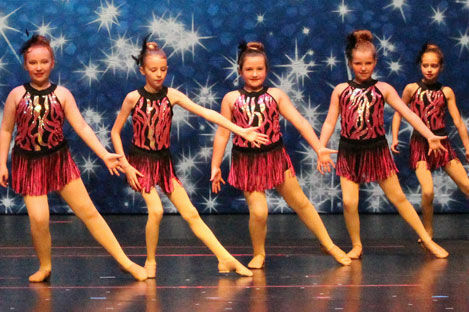 Our award-winning groups represent our studio with class and style! Our Dance Company focuses on weekly technique classes and rehearsals infused with master classes, competitions and performances. They kick-off each year with summer technique classes and a summer intensive week, and end with a Dance Company Banquet where we celebrate all of their hard work and dedication. These special teams are by invitation only. Auditions are held each June. Turning Pointe proudly offers a non-competitive PERFORMANCE TEAM. This team is ideal for our dancers who want a little more training and a lot more performing! This special, invitation-only team will train in ballet, jazz dance tecnique and perform at community events in addition to our recitals. Our GOLD SQUAD is an exciting team comprised of beginner to intermediate teens who want to train, perform and compete. This opportunity allows our teen dancers to be a part of an encouraging team atmosphere where they can achieve their personal best with teammates who share the same goals and maturity.